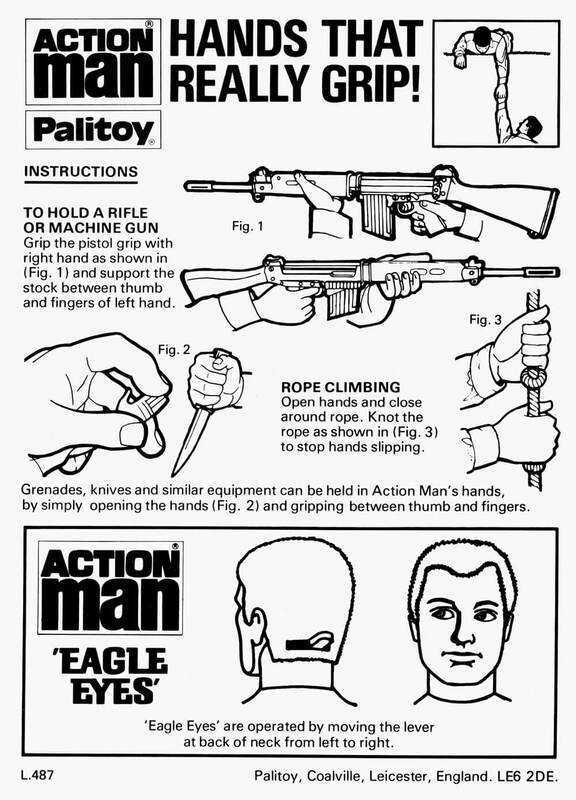 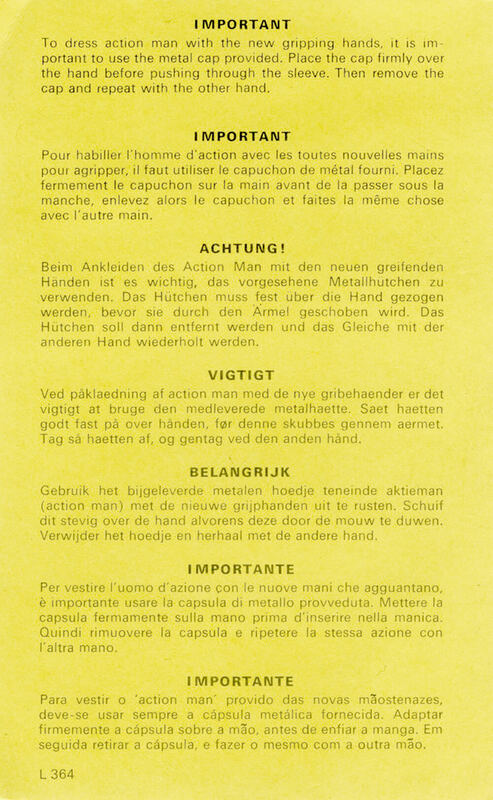 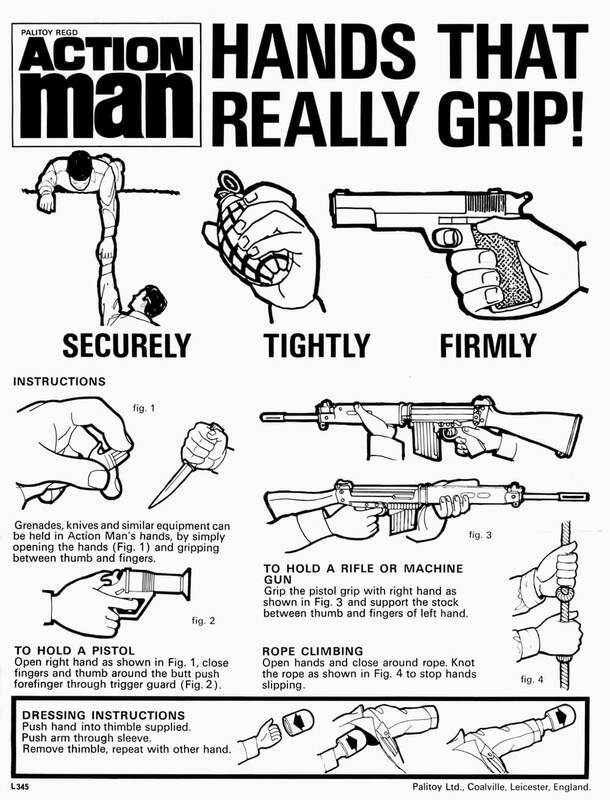 Action Man Gripping Hands Instructions Sheet - L575 - multi-language - addition with Dryng instructions. 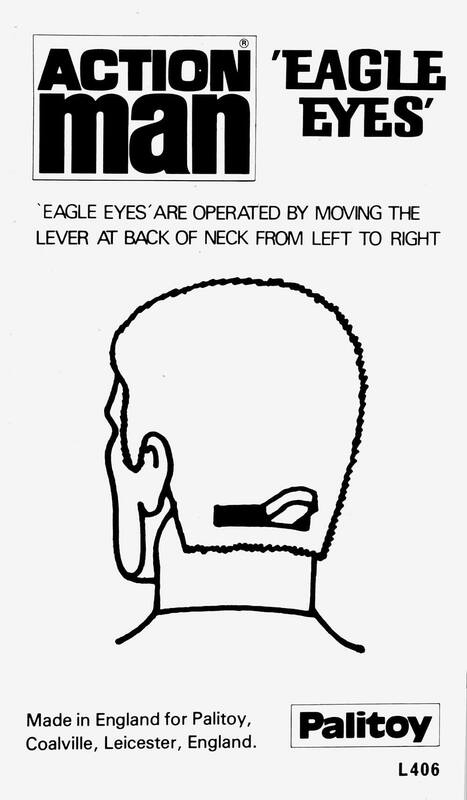 Action Man Eagle Eyes Leaflet - L406. 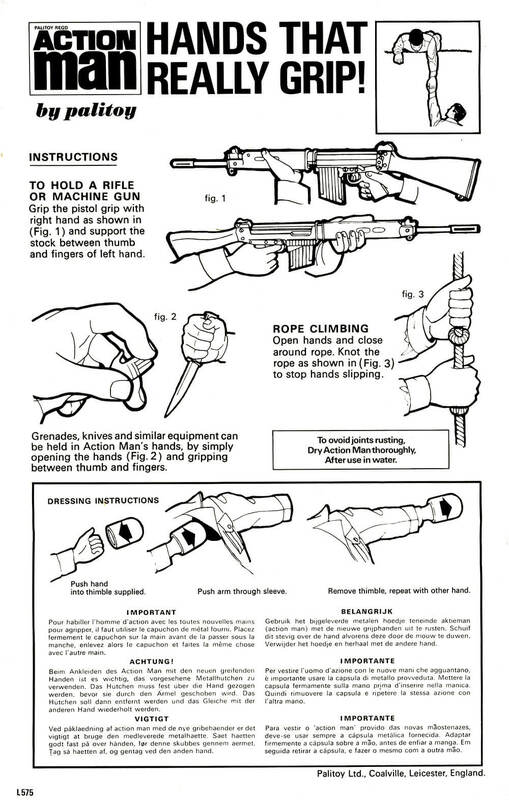 Used in addition to leaflet L575 until L487 printed. 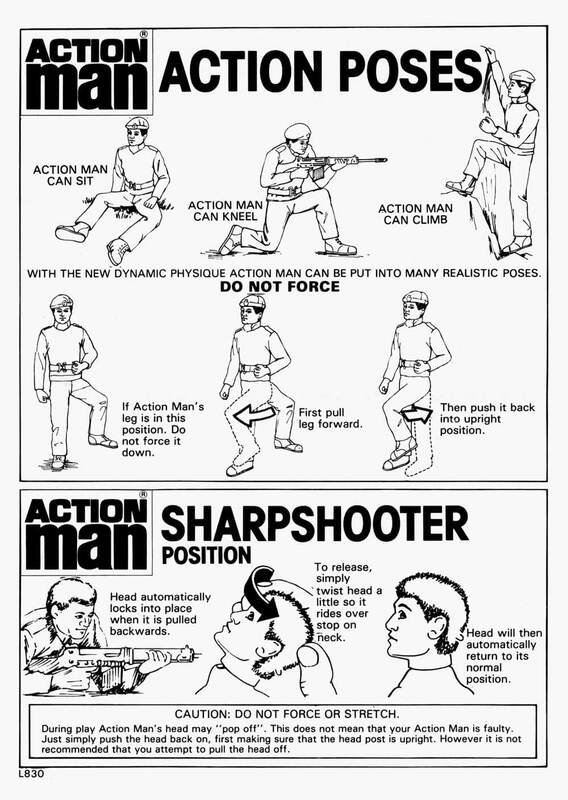 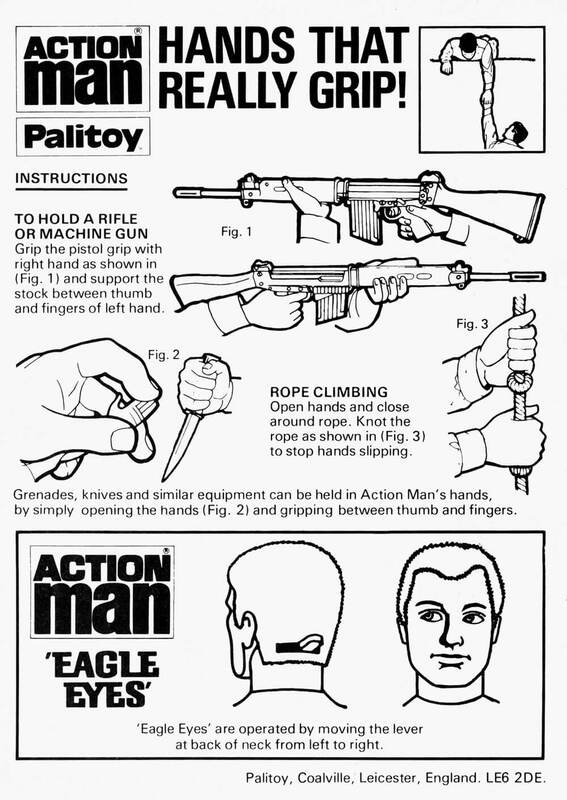 Action Man Gripping Hands / Eagle Eyes / Sharpshooter Leaflet - L830 - side 1.
addition of Sharpshooter neck position - two sided.